StillforYou 100 gives you a complete solution. To ensure your satisfaction, we’ve invested considerable time and money ondevelopment, used a lot of engineering knowledge and put a huge amount of effort into designing and manufacturing a still that will meet your highest expectations. StillforYou 100 is a simple, durable,yet high-precision unit. It’s fully automated if you just want to “get on with it”, yet most of its settings and functions can be adjusted so you can experiment with alcohol distilling. Whatever you choose, your still has been designed and manufactured to give you a lifetime of pleasure. Our columns are ideal for small commercial and home distilleries* (*subject to local laws; please see the disclaimer below). With StillforYou 100 you can produce alcohol that’s purer than the best and most expensive premium spirits. No extra purification is needed, e.g. with carbon filters; the product is ready to drink immediately or be blended to make other drinks. StillforYou 100 is a complete, ready-to-use unit that’s refined in every detail. Each still is precision manufactured, using advanced theoretical and practical knowledge as well asa technological capability that’s not usually available to small-scale producers. The innovative solutions we apply guarantee safe operation and the highest alcohol quality. All you need to do is enjoy your still and the delicious alcohol that you’ll soon be producing. The heating element comprises two 2kW heaters. They are made of high grade, acid resistant stainless steel for years of reliable operation. The top and the bottom of the boiler are conical. This makes the structure rigid and keeps your still stable (despite its substantial weight and height). The conical shape of the boiler’s bottom, with a liquid outlet at the lowest point, also makes it easy to drain after distilling. The side and top walls feature borosilicate sight glasses so you can easily monitor the boiler fill level and boiling process. Three adjustable feet make it easy to level the still on different types of floor (levelling is a prerequisite for the correct rectification process). Handles help you move the boiler if required. 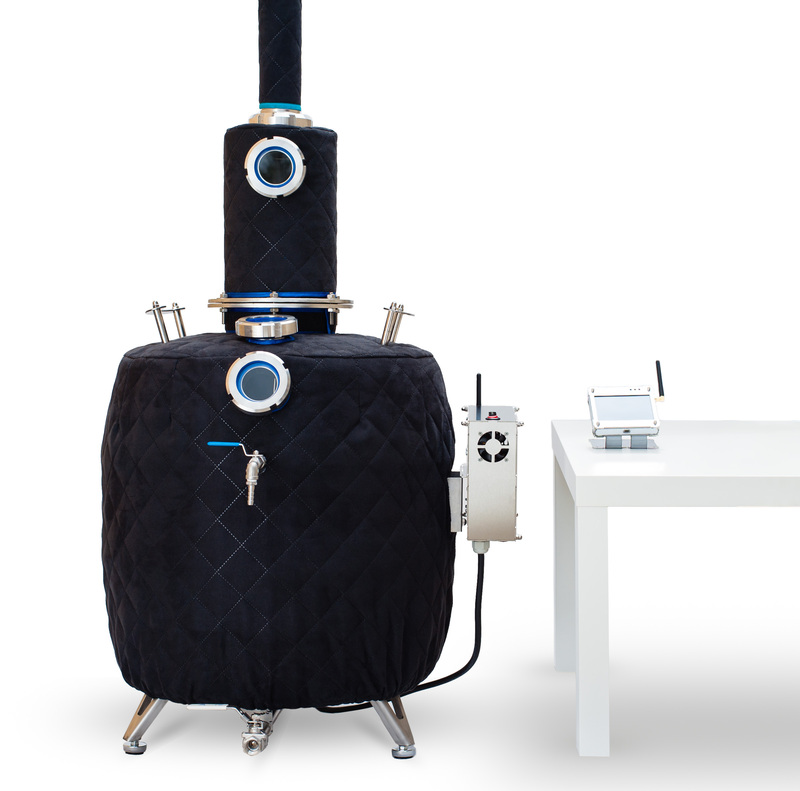 Each boiler is Insulated with demountable, washable fabric for power saving. 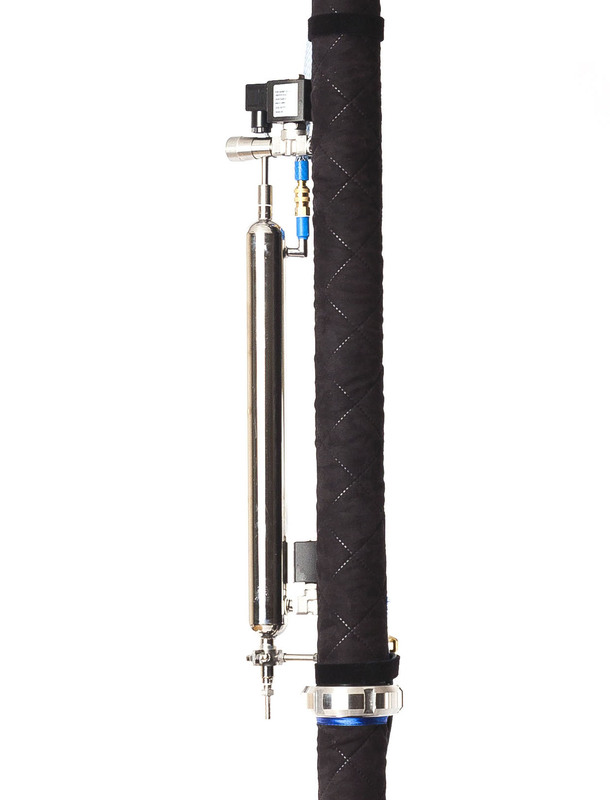 Our stabilizer design is genuinely innovative in distillation/rectification and isn’t found in any other reflux still. It separates unwanted tails from hearts, while maximizing alcohol extraction from the wash. If you want the best tails to stay in your distillate when you use low wines to produce anything other than pure ethanol (for instance, whiskey, brandy, gin, rum or tequila), StillforYou 50 offers you this option. All you need to do is change the distillation settings on the remote control. Unlike other stills, StillforYou 100 ’sin-house designed and manufacturedstabilizer is more than just a tube filled with packing material. The whole unit is much wider than the column. That’s because our stabilizer core (filled with copper Spiral Prismatic Packing – SPP, to form a high-performance catalytic filter), is surrounded by a void that forms the spirit container and gives the extra width. During distillation, chemical reactions on the copper surface bind sulfur compounds formed during yeast fermentation to eliminate unpleasant odor and tastefrom the spirit. After each run,it’s easy to remove SPPand wash it with a hot water and citric acid solution. 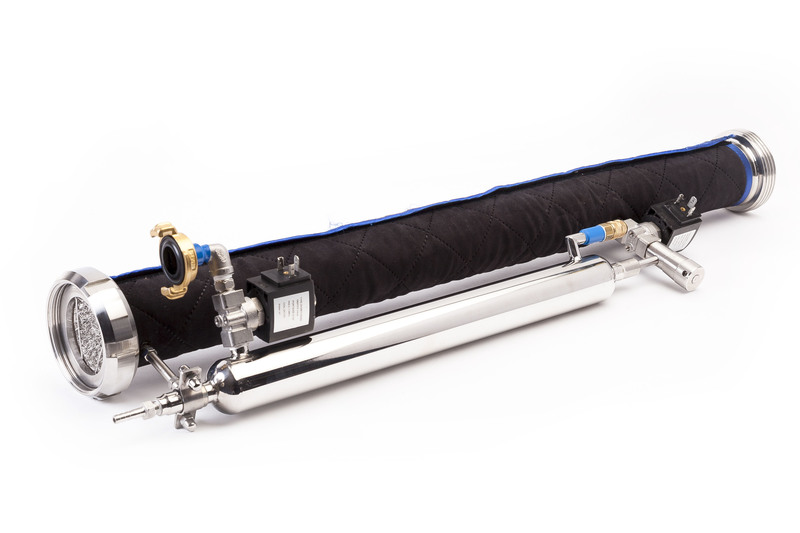 Because the StillforYou 100 uses quick-connection SMS couplings, no tools are needed to attach the stabilizer to the boiler and SPPColumn. This takes just a few seconds. The container also features afrontal borosilicatesight glass so you can view the contents and monitor filling andemptying. The bottom of the container is equipped with a ball valve forcollecting the unit’scontents. These can be used to recycle any residual pure alcohol during the nextdistillation process. To help you save electricity and protect the environment, your StillforYou 100 stabilizer is insulated with removable, washable fabric. StillforYou 100 engineering design is based on Vapor Management (VM) and Liquid management (LM) reflux columns. Due to theirexcellent functionality, Vapor Management (VM) and Liquid Management (LM) columns are widely used in distillation sets by those who value alcohol quality. In our experience, no other solution can compete in reflux systems,especially as we’ve raised the standard beyond other manufacturers, dispensed with VM and concentrated on LM. During distillation and rectification, the first batches of distillate that come from the still are called ‘fores’ or ‘heads’. Since you definitely won’t want these in your final spirit they must be separated from the ‘hearts’ (the alcohol you do want in your spirit). StillforYou 100 automatically separates fores from hearts, something we’ve achieved with a lowered hearts collection point. In other stills, after initial fores collection, during the main distillation, the remaining traces of fores go straight into the hearts and contaminate the final spirit. Imagine using a drinking glass to hold gasoline and later trying to drink water from it. How many times would you have to empty and refill the glass until you couldn’t smell and taste the fuel? StillforYou 100 separates the initial fores as in other stills, but that’s where any similarities stop. In our still, the remaining fores, which are present throughout most of hearts collection,are trapped at the top of the column. Because they’re lighter than the hearts (which stay below in the column), mixing is avoided. When distillation/rectification stops, the last trapped batch of unwanted fores is automatically drained through the fores outlet. Fores (from the start and finish of the process) and hearts are collected automatically via separate outlets. As far as we know, this invention, which we call Enhanced Liquid Management (ELM) is unique to StillforYou 100. We hope it will soon become the norm for guaranteeing better alcohol quality. 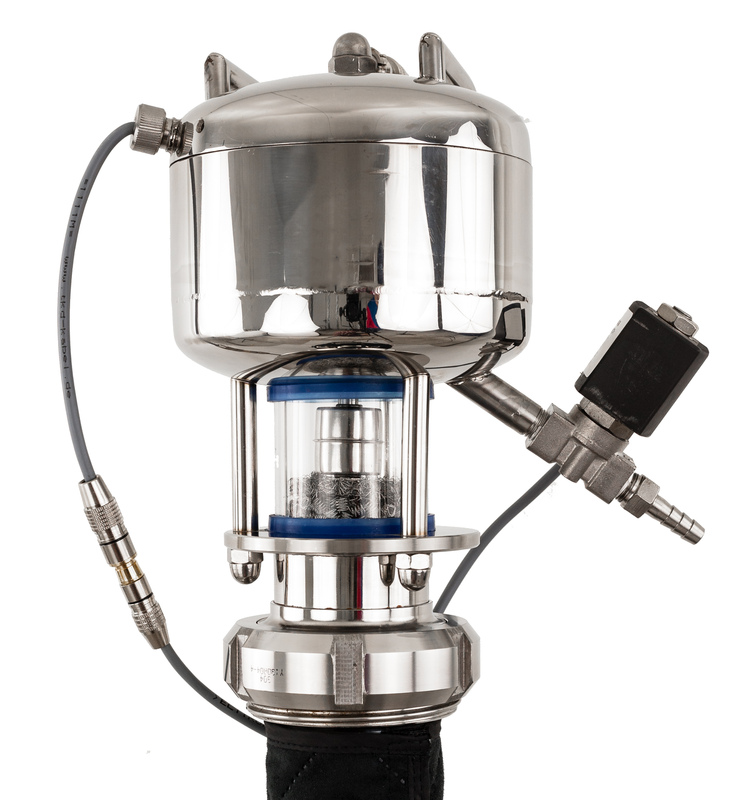 The SPP column has a temperature sensor to automatically control operating parameters for best alcohol quality. The column, which is insulated with demountable and washable fabric, consists of two modules connected by a threaded SMS coupling. This means the still can be assembled in a few seconds without a wrench. The modules are well packed for delivery to protect against damage or SPP spillage in transit. SPP is the heart of each StillforYou 100 SPP column. It’s a reflection of our quality that, as well as making SPP for our own stills, we supply professional-quality prismatic packing that’s valued worldwideby others who want the best packing material. The specially-shaped ”springs”, both stainless steel and copper that make up our packing are the result of many years’ experience and months of testing. Our objective was a spring that optimizes the balance between the compactness of the column packing and your still’s efficiency of distillation. The springs mustn’t be too big becausethis reduces “resolution” (by leaving too much void space between thewire that makes each spiral) and increases the energy demand for wetting the SPP. On the other hand, they mustn’t betoo small, which reduces the column capacity and (with low heatingpower) leads to column flooding and general decline in columnperformance. Due to their special shape and specific size, our SPP optimizes the vapor-liquid contact ratioandreduces the resistance of the rising vaporanddescending liquid (condensate). Our head unit is another innovative component. For years we tried to produce a device for automated high-purity spirit collection, but until our current design we hadn’t achieved the desired result.This design has now proved successful and satisfied our,and our customers’, highestexpectations. A larger collection pan to retain all the fores and preventthem entering the hearts. 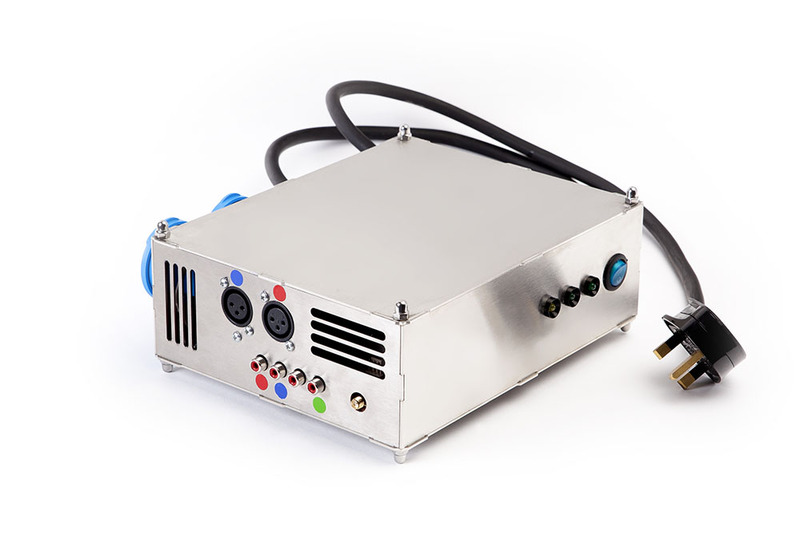 A specially designed vapor-flow track to maximize the vapor cooling efficiency. Low water usage, for operational cost reduction and natural environment protection. The head has a borosilicate, 360°sight glass for viewing distillation– in itself, a very enjoyable experience! The bottom section, culminating in a convenient quick-connection SMS coupling, is filled with stainless steel SPP, while the top section houses the flooding sensor. Above the head is a condenser made of corrugated stainless steel tubing. It’s a closed coil filled with cooling water, which, due to its design, minimizes the use of cooling water. 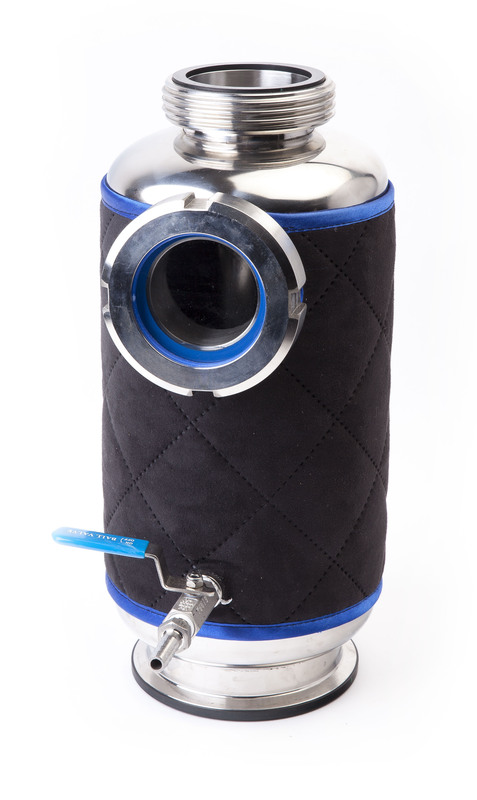 Alcohol vapors condense on the condenser surface and drip into a fores-collection pan. A solenoid valve is fitted to the side of the head for emptying the pan. When the fores are collected, the ELM system is closed, which ensures the alcohol purity and helps to give a perfect product in the first run. The system is protected by a temperature sensor. When there’s no cooling water or the water flow is too low, the device switches off. Since the head is an open system, it doesn’t produce pressures that could pose a safety hazard. The control unit is the ‘brain’ of the still and is responsible for automation of all the still’s distilling processes. The control unit monitors, updates and controls heating elements in the boiler, the fores, hearts and water solenoid valves, temperature measurements from various digital sensors and the status of the column liquid levels. When designing the control unit, we focused on safety giving you protection against incidents such as power interruption, lack of cooling water or uncontrolled alcohol boiling in the column. A microcomputer inside the control unit runs software that has been designed and written exclusively for StillforYou 100. 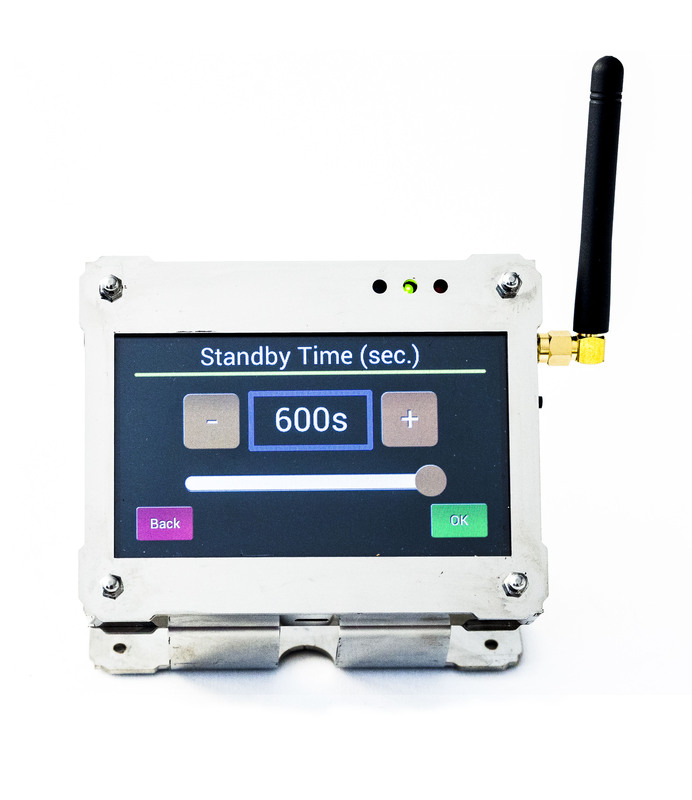 A wireless remote control connects to the control unit with Bluetooth technology so you don’t have to be in the same room, or even the same building, to control StillforYou 100. For ease of operation the remote control has a 4.3’-inch high resolution touch screen with clear, intuitive menus and settings. If you’re just starting distilling, choose the easy mode with fully automatic distilling/rectification. If you’re more advanced, you can set all the main parameters yourself to experiment and achieve the final distillate that suits you best. The remote control’s rechargeable battery will work for hours without recharging. However, even if the remote control runs out of power, distillation/rectification will continue. Your StillforYou 100 leaves our factory securely packaged to withstand the rigors of delivery. Like the many other distillers who already trust StillforYou, you’re fortunate enough to be able to afford this premium equipment. We want our enthusiasm for distilling to rub off on you and inspire you to enjoy the pleasures of distilling the StillforYou way. These products may not be legal to operate in some areas. StillforYou strongly discourages any unlawful use of these products and is not responsible for any damage or injury caused by the misuse or unlawful use of these products. Any person or entity that uses information or equipment provided by StillforYou does so entirely at their own risk and accepts all liability concerning the use of the aforementioned equipment and information. Buy now StillForYou 50. We have good offer for you!